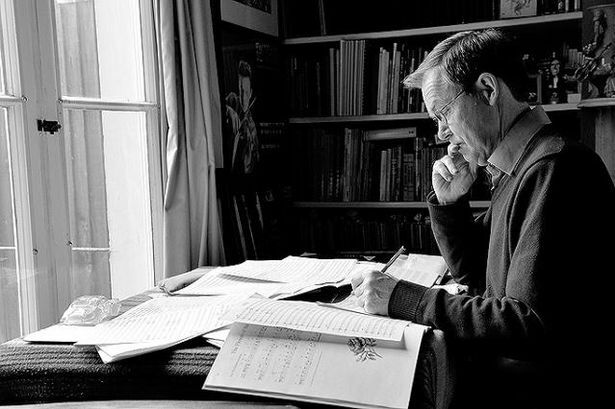 Composer Philip Sawyers will see another premiere of his work, The Valley of Vision, performed next week. Fresh from the triumphant world premiere of his violin concerto, given towards the end of last month by the English Symphony Orchestra and soloist Alexander Sitkovetsky, Kenneth Woods conducting, Philip Sawyers is looking forward to another world premiere on Wednesday. This is The Valley of Vision, a tone-poem inspired by the paintings of Samuel Palmer. The visual arts are a major stimulus in Philip’s work (an earlier piece was inspired by a painting by Kandinsky), and he tells me more about their influence on his creative process. “As a player myself (Philip is a violinist who has played within many professional orchestras) I appreciate a composer working with an orchestra, that is to say writing idiomatically for the instruments and with content and style which resonate with the players. “It’s certainly heartening to be in a time when many styles are now ‘admissible’. As a student in the late Sixties and early Seventies I was told that ‘you can’t write like that’, only those who followed Stockhausen and Boulez seemed to get a look in. “I couldn’t write what I couldn’t hear so stayed in the realms of the tonal, or vaguely tonal, so was distinctly out of fashion. Anyone who enjoys Bartok or Hindemith will find my music approachable. “Describing a style is very difficult, it has certainly been an unconscious synthesis of everything I’ve ever heard or played. As an admirer of Hindemith, Strauss, Mahler, Elgar, Schoenberg, Berg – where to stop? – my style is tonal in the sense that the music is based on tonal centres rather than traditional diatonic keys, and I write melodic lines with a clear rhythm and direction and emotional heft. Philip Sawyers’ The Valley of Vision is premiered by the English Symphony Orchestra under Kenneth Woods at Great Malvern Priory on March 14 (7.30pm). The programme also includes a Haydn Mass and Beethoven’s Eroica Symphony. Details on 01684 892277.